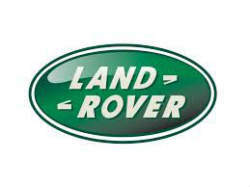 Land Rover Mauritius represents a car brand that specializes in four-wheel-drive vehicles. It is owned by British multinational car manufacturer Jaguar Land Rover, which is in turn owned by Indiaâ€™s Tata Motors since 2008. We take pride in offering you the chance to explore the Land Rover model range and find your perfect New or Approved user Land Rover. Whether youâ€™re curious to find out more about owning a Land Rover or looking for a service on your current one we can help. You can drive any car in your business. But if you want one that genuinely stands out, choose Land Rover. Innovative, dynamic and robust. If these are watch words for your company, youâ€™ll no doubt want a fleet thatâ€™s just as accomplished. At Land Rover, we certainly donâ€™t believe that one size fits all. Thatâ€™s why we offer three distinct services, tailored to you. And youâ€™ll have the same dedicated person right from the beginning. They have the expertise and experience to understand your needs perfectly, whether youâ€™re selecting a few cars for a growing business or running a large fleet. And while our carsâ€™ performance goes from strength to strength, our emissions are falling â€“ by 23% over the last five years. And that helps to drive down your overall costs by lowering your company car tax rates. Which makes owning a Land Rover as economical as it is thrilling. Would you like to discuss your requirements with a Land Rover Fleet & Business Specialist? Get in touch with a Fleet and Business Specialist at Land Rover Mauritius. Visit https://www.landrover.co.mu for more information.